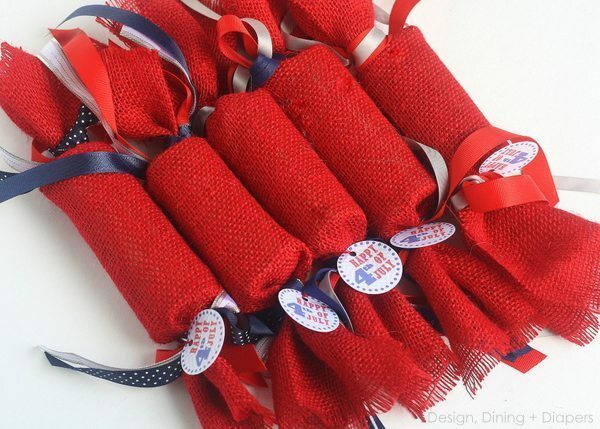 I’m so excited for the 4th of July this year! I love this holiday because it’s a good time for both adults and kids! 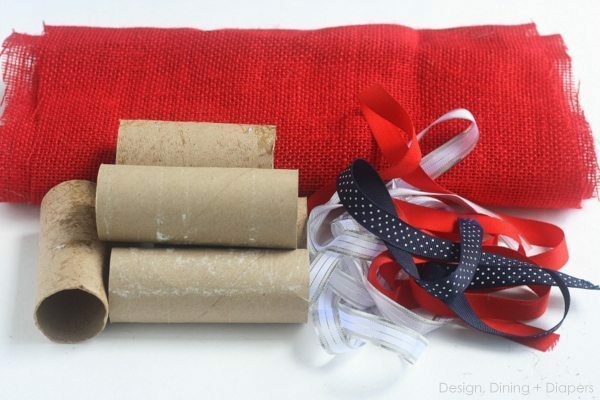 I wanted to have something fun for my little ones, so I came up with some kid friendly Fourth of July Favors made from recycled TP rolls… easy, inexpensive and safe! I am all about recycling and using what’s around the house and this project fits the bill! Start by cutting your burlap into 15″ X 7 ” pieces. 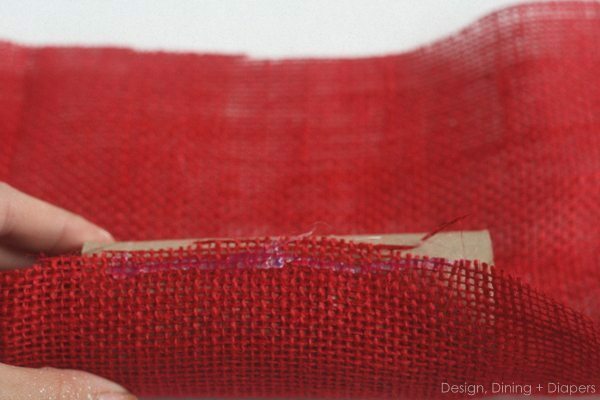 Then gently pull the strings off either side until the edges are straight, and trim. Place your TP roll directly in the center. 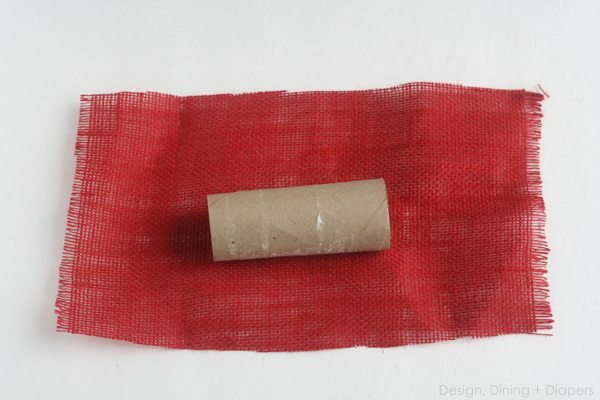 Start to roll the burlap around the TP roll and place hot glue on the edges to secure it. 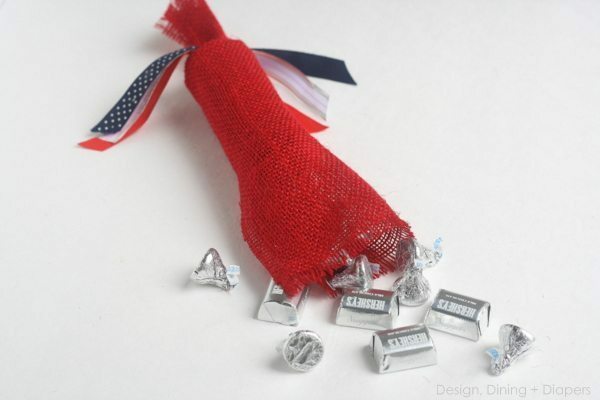 Tie one end of favor with ribbon, fill with candy and then tie the other side. You can download the FREE printable here, and then print it off. I used my Silhouette to cut each tag, but you could easily just use scissors! I can’t wait for the kiddos to open them and find all of the goodies inside :) And I have a feeling the adults will be taking part too! Yep, I’d be one of the adults opening one of these up! These look so fun, Taryn! These are SO cute Taryn! Love the red burlap. 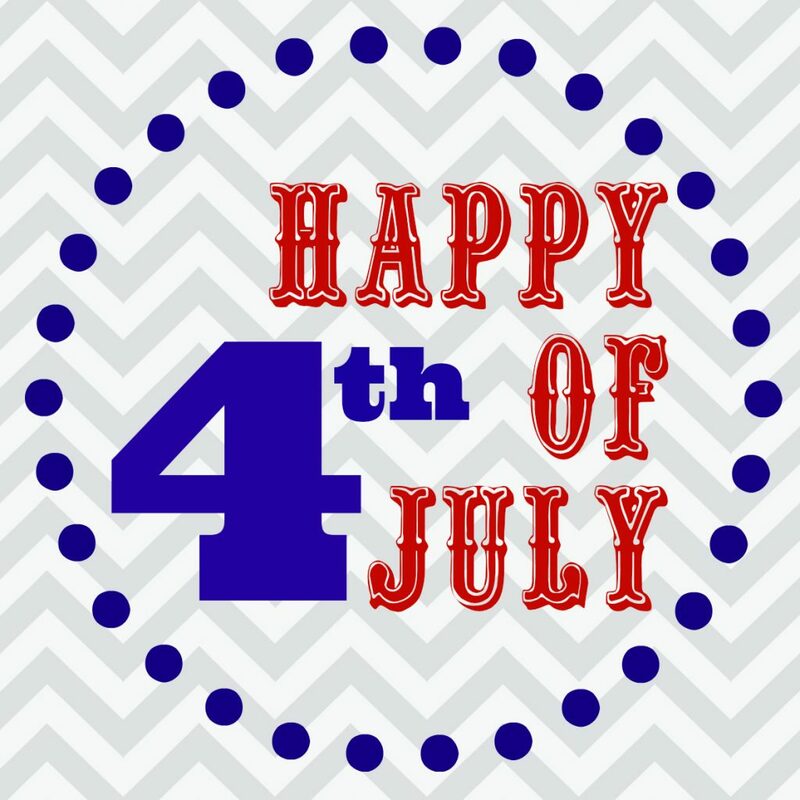 Hope you have a wonderful July 4th!! These are so cute! 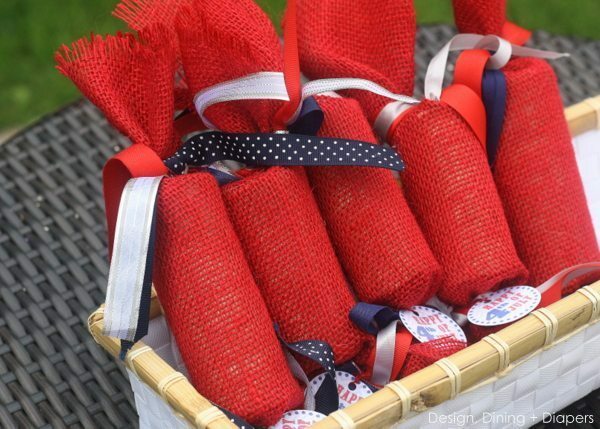 I love how they turned out and the red burlap is such a great touch.